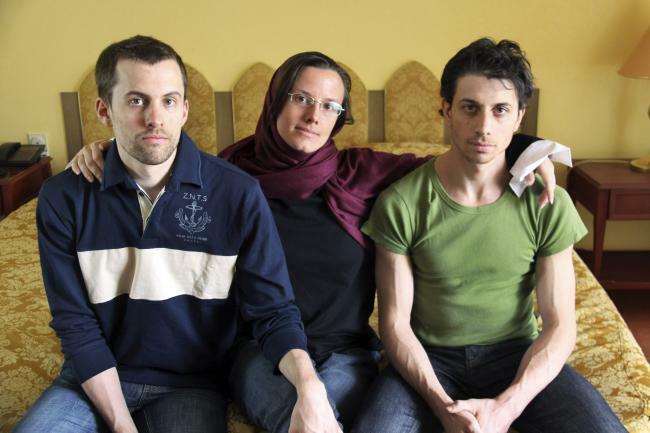 The two Americans still jailed in Iran on charges of espionage and trespassing won’t be tried for at least five more weeks, their lawyer told The Times on Thursday. Shane Bauer and Joshua Fattal are due to appear before Judge Abolqasem Salavati on Nov. 6, the attorney said. The judge has handled many high-profile trials, especially since the political unrest that followed the 2009 presidential election, and has been dubbed the “hanging judge” by opposition and human rights activists. Most recently he sentenced Iranian Canadian blogger Hossein Derakhshan to 19 1/2 years in prison. The two men and their friend Sarah Shourd were arrested in July 2009 while on a hiking trip along the Iran-Iraq border and detained in Tehran’s Evin Prison. Attorney Massoud Shafii has been working to get Fattal and Bauer released on bail in a settlement similar to that reached for Shourd, who was freed Sept. 14 on $500,000 bail. But Iranian officials have indicated that they will tie the men’s release to that of eight Iranians they say are wrongly imprisoned in the United States or are in the process of being extradited to the U.S. from third countries. Since her release two weeks ago, Shourd has been cautiously campaigning for the release of her companions. She met this week with Iranian President Mahmoud Ahmadinejad in New York, whom she described as “gracious” in a lengthy interview with the radio show Democracy Now in which she also described the events that led to her arrest.